NUUN (pronounced ?noon') was originally the brainchild of a student and professor from the tuck school, dartmouth college's business program. New England was great for fall cycling, but the two became frustrated in their search for an electrolyte hydration solution to use in remote places. They longed for a lightweight, easily-dissolvable product that was free of carbohydrates. A nice, refreshing flavour to remind you to keep drinking. A smidgen of colour in the form of riboflavin (vitamin b2) & beet juice depending on the flavour. in real words? imagine being out on a long run or ride, or being in the gym. rather than settle for water or buy a sugary drink from a convenience store, you just fill up your water bottle and drop in a couple of nuun tabs. by the time you've tied your laces or put on your pack, you've got a complex electrolyte drink that recharges your salts, but is refreshing and more efficiently absorbed than water alone or most sports drinks on the market. nuun was designed, formulated and tested to keep you optimally hydrated, wherever you are. 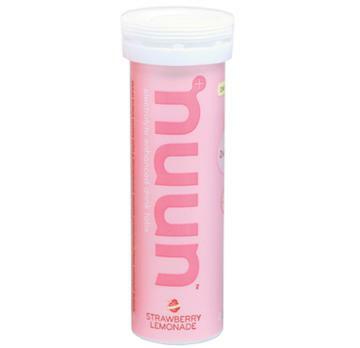 nuun comes in a tough tube that is water resistant and perfect for carrying in your hand, bike jersey, pack - wherever. 1 tube = 6 litres (~1.5 gallons), enough for a good ride or a week at the gym. and if you travel, forget trying to find your normal drink or suffering the indignity of bags of powder bursting in your luggage, a couple of tubes in your bags will get there in one piece and get you through the week of training in colorado or the pyrenees. we spent years researching the levels of electrolytes needed for the product to be absorbed the quickest and to provide optimal salt balance to prevent cramping and maximise hydration. an editor of a major triathlon publication used nuun and had no cramping issues for the first time ever in an ironman. designed for the active palate, nuuns got a light flavour that's not overwhelming when you're on the go. if you've ever watered down sports drinks because they're too strong, then you've made them less easy to absorb; this ultimately defeats the purpose of using them. some call the nuun taste 'tart' and that's probably the best description we've found yet, other than 'just right'! a bottle of water, 1 nuun per 500ml (~16oz); doesn't matter where you are, how windy it is, how much space you've got, drop in nuun and you're good to go. cyclists, triathletes, runners, hikers, yoga-bods, travelers, adventure racers, kids, rowers, motorcyclists, people at work, and anyone else 'doing stuff' while trying to stay properly hydrated. nuun is a complex hydration system that's easy to use, but the real step forward is that it's portable, which means you now have a solution wherever you are; in the gym, hiking, adventure racing, running, kayaking, long rides, traveling and even expeditions. gyms are notorious for draining you out. we used to go before/after work and if we didn't hydrate properly, we left drained after a good class. nuun's been great for our friends who visit gyms regularly. they keep a tube of nuun in an empty water bottle in their gym bag. at the start of each workout, they fill up at the water fountain and off they go. by the way, you should know the dangers of not cleaning out bottles after they've been filled with sugar solutions. nuun's lack of sugar means you just need to rinse out your bottle and you won't come back to a furry biochemical disaster next time you open your bag, which we think is rather clever. this is where it started. going out on long rides and refueling half way meant rummaging through the convenience store; often settling for something we'd never heard of, or just going with water - figuring we were on the way home. with nuun you start out with the same drink you finish with, and know that on rides off the beaten track, you have a serious electrolyte hydration source and something that works for you. i don't think we need to say much here: nuun offers a perfect balance of electrolytes to ensure the most efficient hydration and is in a sturdy, waterproof, easy-to-carry container. nuun can be used in windy conditions and even on the move, plus one tube will provide 6 litres (~1.5 gallons) of hydration. there's no surprise that nuun's become a staple for the adventure racers we know. perfect for lap swimming and now used by several swim groups and instructors we know. hydration is critical while swimming, but given the length of the workout, energy isn't as important during the exercise. nuun's focus on total hydration in a portable format (nestled in your bag) is perfect, especially for sea and lake swims.just add the nuun to your bottle and fill up at the fountain. you're purposely not near convenience stores and often away for days. powders are difficult to carry and horrible to use in windy conditions, so this should be a no-brainer. use your water filter to refill, drop in the nuun and you've got the ultimate in hydration and electrolyte replacement as well as having a refreshing flavour. the most important characteristic of what you drink while you are active is the speed at which your body can absorb it. the concentration of dissolved salts and sugars (osmolarity, for those more technically inclined) determines how fast the drink can cross from your gut into your bloodstream where it can re-hydrate and replenish. nuun produces a hypotonic solution so that your body will absorb nuun faster than the leading "sports drinks" or even water alone. your body is therefore, able to restore optimal water and electrolyte balance more quickly. the american college of sports medicine recommends that people who are active for more than one hour get 500-700mg of sodium for every litre of water they consume. this is up to three times the sodium that traditional "sports drinks" provide. in fact, some experts in the field believe that sodium concentrations should be closer to the 700-1000mg range. nuun provides 700mg of sodium for every litre of drink - this amount, in addition to the other critical electrolytes contained in every nuun tablet, ensures that you are adequately replenishing your body's stores to help you perform at your best, and stay healthy. hyponatremia - what is it? we hear a lot about drinking more water being good for us but the increasing reports of hyponatremia showcase the fact that water is not always enough, especially when being consumed in large quantities over short periods of time. hyponatremia is the long word for low concentration of sodium in the blood and can occur from over hydrating with plain water. doing this, especially during exercise can deplete essential electrolytes from the body, causing disorientation, illness and in rare cases, death. for athletes, effects are generally seen in longer (and hotter) races since that's when the levels of water intake are likely to be high. there are a number of different drivers for hyponatremia and the answer is not simple, but if you imagine that when sweat (which is salty) is replaced by plain water (which is not salty) the bloodstream becomes diluted so there's less sodium (and potassium etc). sodium, particularly, is essential for optimal cell function - it helps with the electrical signals that occur in our bodies and through osmosis it helps regulate cellular osmotic pressure (remember that school experiment with the bag-like thing and the salty water?). when hyponatremia occurs the cells throughout the body take on more water than normal and expand. rings and watches will get tight, you'll look all puffy and, the bad bit, your brain swells. since your brain is in a rather inflexible skull...it gets a bit squished and that's where the disorientation (and the fatalities) come from. You can get hyponatremia anywhere that you're consuming a large quantity of water without electrolytes. a good electrolyte sports drink will do a lot to help prevent hyponatremia and this has been well documented and accepted in medical journals. "maybe we need to make sure there is more sodium in the beverages we're encouraging athletes to drink," says nancy auer, md, vice president of medical affairs at swedish medical center in seattle. as for the "conventional wisdom" behind the handouts of free water at athletic events, "that wisdom may not be the best wisdom." 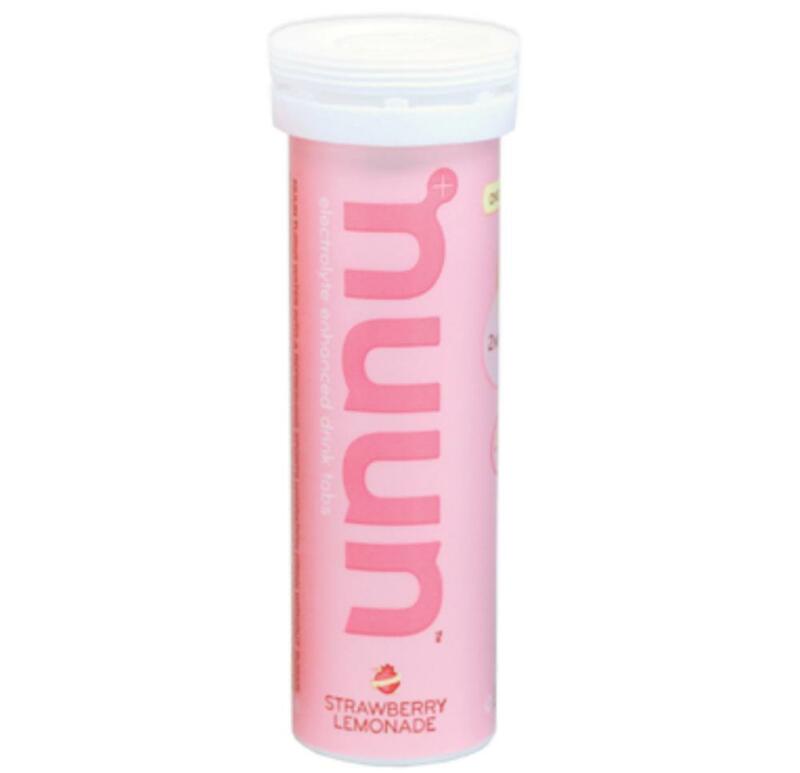 Take on electrolytes, either in a sports drink, with nuun (which is obviously a sports drink...but without the sugars that most have) or using salt caps. just be aware of the potential issues of taking on lots of plain water. water's good, there's no argument there, but in extremes (and often less than extremes) you need more than water alone.